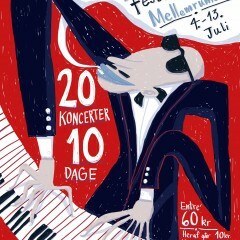 Once again the non-profit venue in MellemRummet, part of actionaid:denmark, boasts an artistically outstanding contribution to the CPH Jazz Festival of 2014. 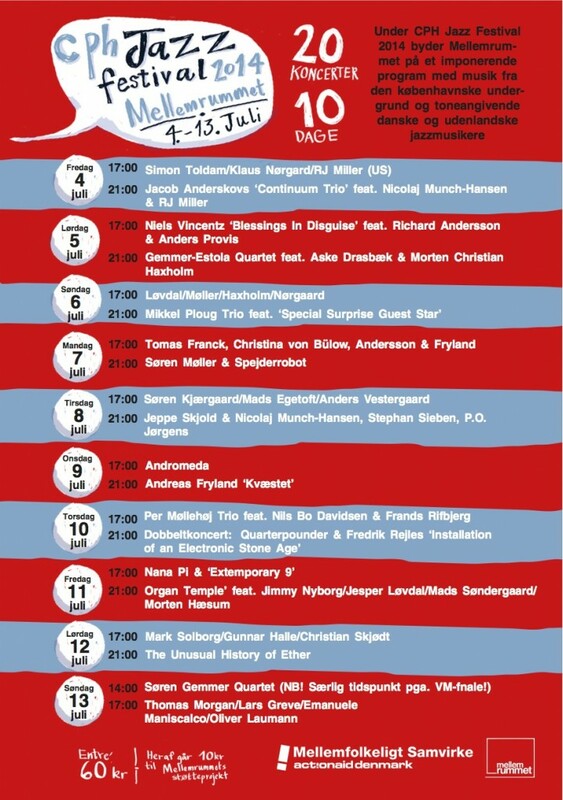 It presents two daily concerts at 17.00 and 21.00 from July 4th to 13th . 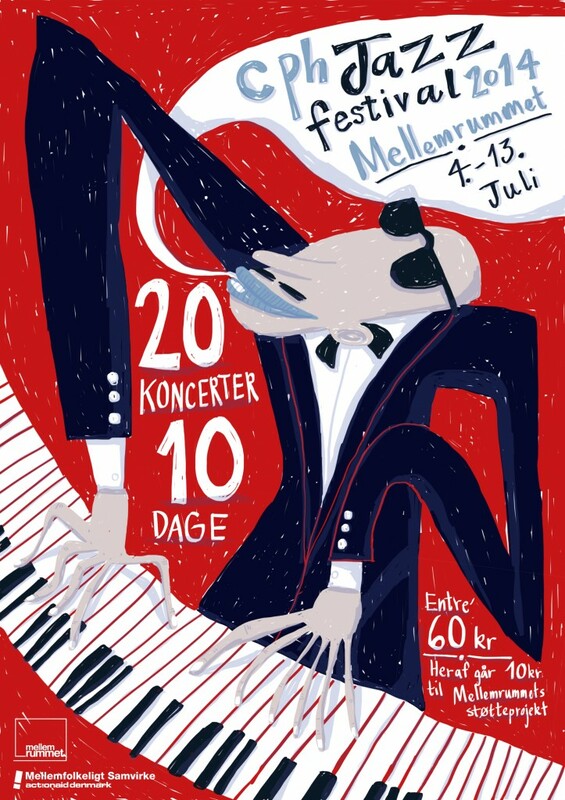 Amply titled “…ekstremt godt & utrolig tæt på” / “…extremely good & incredibly close” the festival offers music lovers the chance to experiences top names as well as fresh talent up-close at what just might be the most important venue for modern jazz in Nørrebro, CPH. Encouraged by a growing audience from 2012 to 2013 and by the considerable amount of money raised because of the festival activities, Søren Gemmer has once again put effort into the arduous task of selecting/persuading groups to perform. Also, an extensive PR strategy has been employed, on a very limited budget, in hopes that the 2014 festival will provide an even bigger audience with musical experiences and provide actionaid:denmark with funds for their work in developing countries. On a side note, the lovely poster is once again designed by Mia Mottelson.